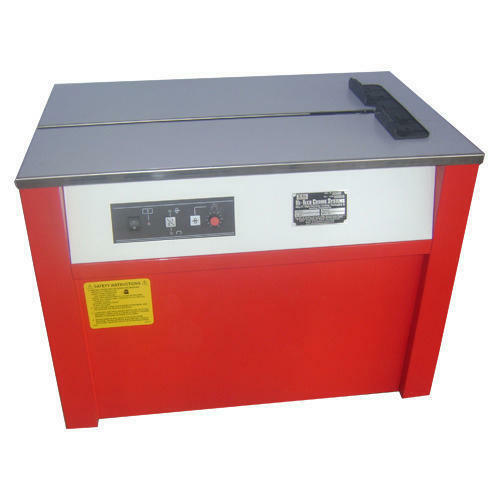 Semi Automatic Box Strapping Machine Model PACKWAY -316-H to strap cartons, paper packages, wooden boxes, etc. using polyethylene plastic band which tightens & gets cut automatically. Box Strapping Machine is suitable for strapping cartons of various heights very quickly without the need for bothersome strapping tools & metal seals. When you place the carton on the table & pass the strap around it, the strap self-tightens cuts & seals onto the carton automatically & is ready for the next carton.